An amazing Beasts of the Mesozoic Deluxe Raptor Atrociraptor marshalli. 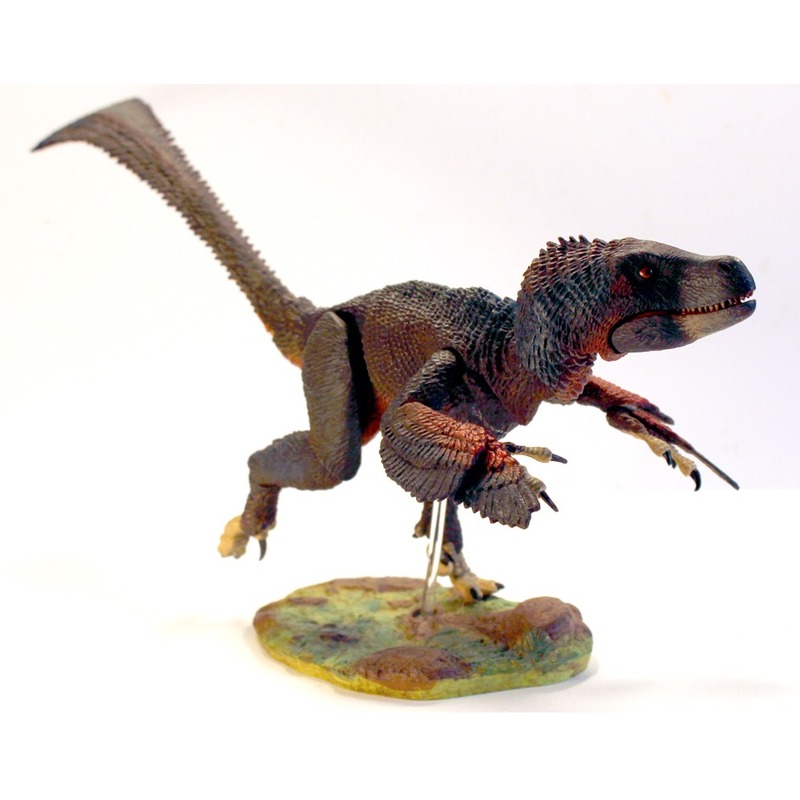 A 1:6 scale Deluxe Raptor model – Atrociraptor marshalli. A fantastic Beasts of the Mesozoic Deluxe Raptor Atrociraptor marshalli model. The hand-painted Beasts of the Mesozoic Atrociraptor figure has 26 points of articulation and this set includes a display base, posing rod with two support options, along with interchangeable, closed running toes and a unique background display insert.